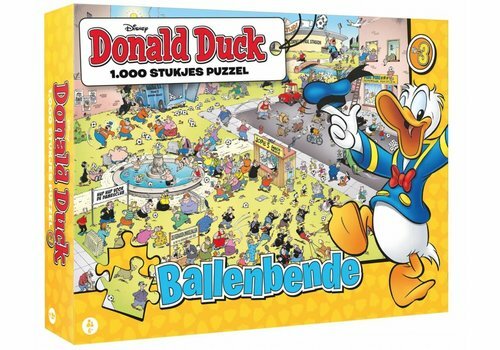 This can only happen to Donald Duck. 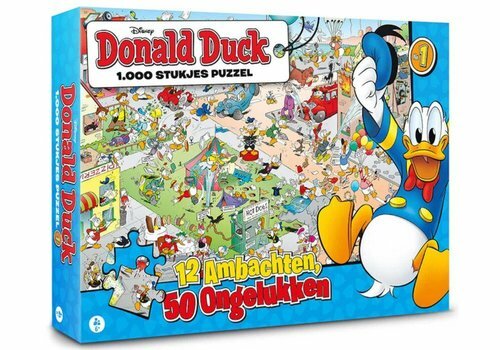 In this puzzle Donald starts working as a policeman, pizza-baker, painter, firefighter and many other trades.... but everywhere something goes wrong! Nice! A little football on the lawn! But euh... here it is a bit busy! 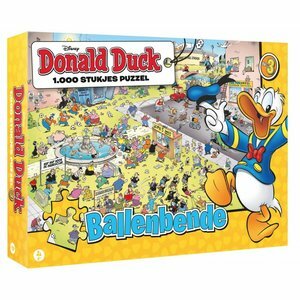 Funny Disney puzzle from Donald Duck and his friends. 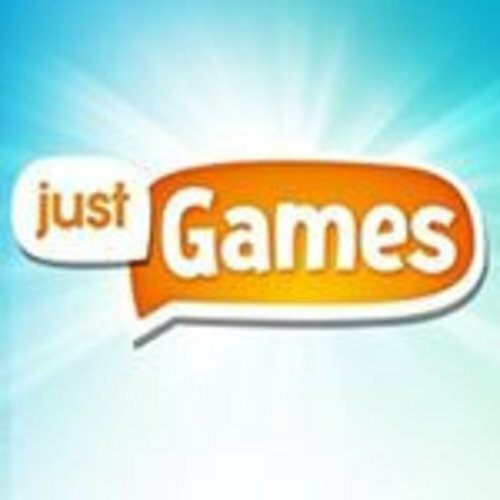 Just Games is a young and creative company that makes the best games in the Netherlands and Belgium. 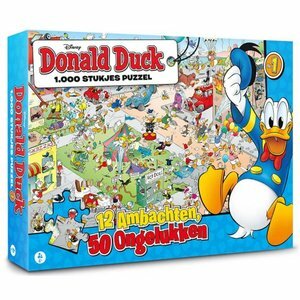 Just Games makes: family games, children's games, expert games, memory games and jigsaw puzzles, mostly based on successful (TV) licenses.